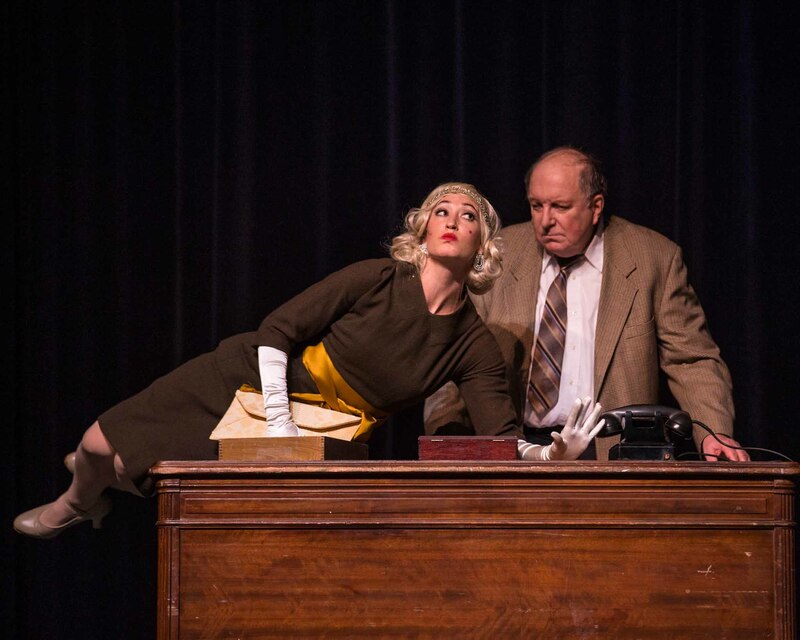 For lovers of musical theatre there is something incredibly important and very wonderful going on at Conroe’s Crighton Theater. 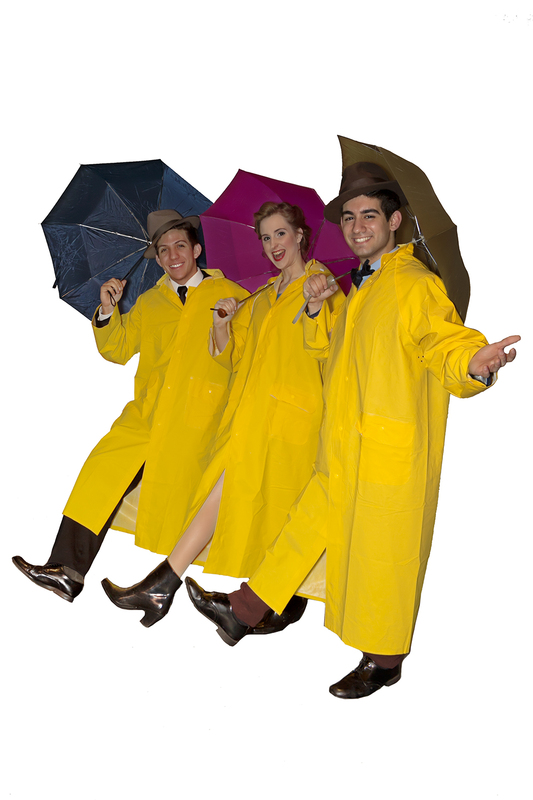 Brilliantly directed by Manny Cafeo, the current production of Singin’ in the Rain from the Stage Right Players is an absolute wonder to behold. In fact, let me take that a step further. It is miraculous! Fondly remembered and revisited by most of us, the 1952 MGM film version starring Gene Kelly, Debbie Reynolds and Donald O’Connor is a classic cinema masterpiece by any standard. 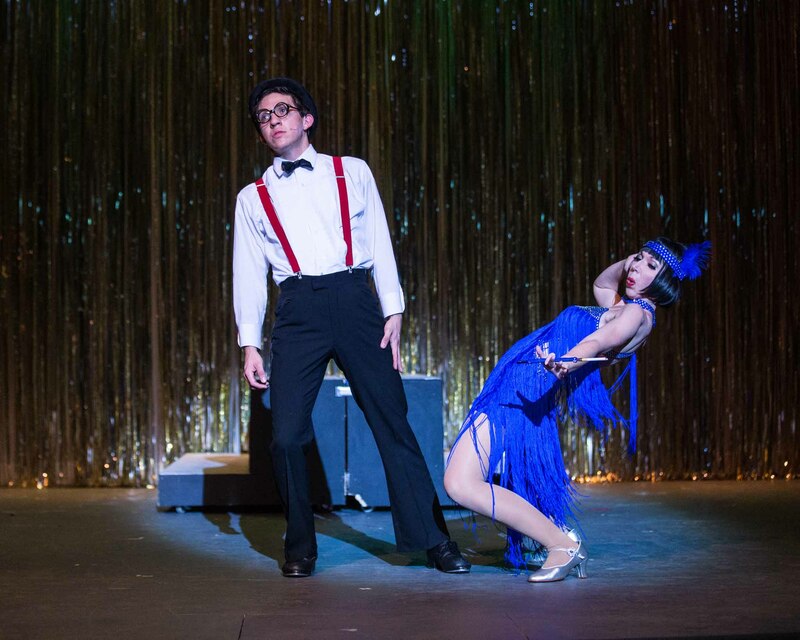 Attempting to duplicate its joys on the stage would be a daunting task in any event, but to accomplish it with the artistic perfection found in this production must certainly be a crowning achievement for Stage Right producers, Steve & Carolyn Wong. The realization of this miracle has countless ingredients which must begin with the unmistakable love, energy and joy this universally excellent cast has brought to the performance. Common sense tells us how much hard work made this all possible. 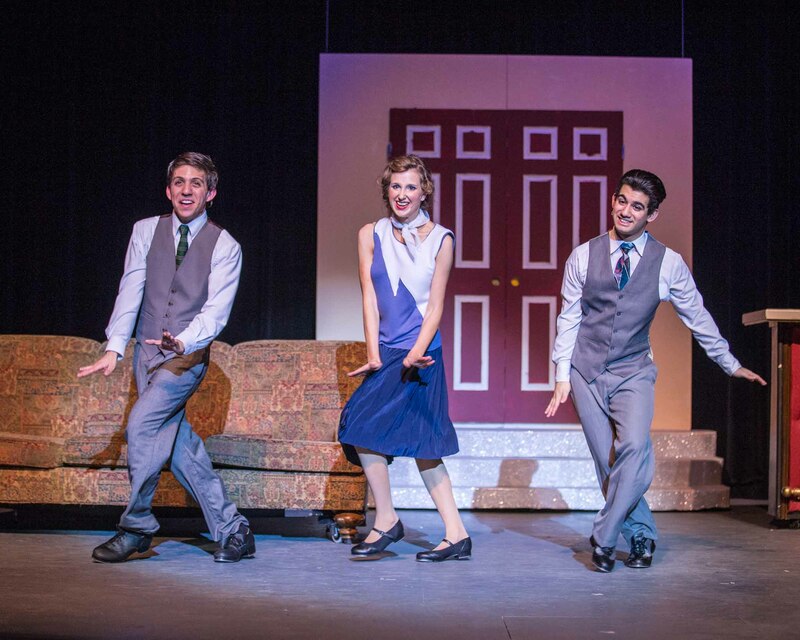 But somehow it comes across the footlights that everyone on that stage is having as much fun as the audience. 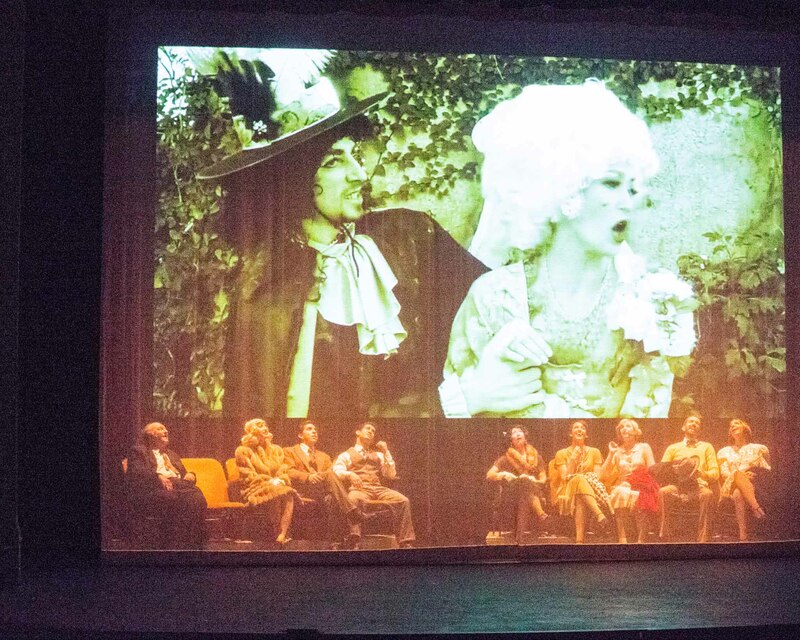 At the same time virtually every detail of the film is brought magically to life on the Crighton stage. Of course that magic includes the witty original screenplay of Betty Comden & Adolph Green, and the memorable music of Arthur Freed (who also wrote the lyrics) & Nacio Herb Brown. In this production the score is in the very capable hands of Musical Director, Ana Guirola Ladd, and the superb dancing is a much deserved jewel in the crown of both choreographer, Dinah Mahlman, and her astonishing cast that repeatedly sets the house on fire with sensational tap dancing. Let’s get more specific about the stellar cast that brings to life this amusing tale about the silent film star pairing of Lina Lamont (Alexandra Casey), and Don Lockwood (Victor Suarez) at the time in the 1920’s when the “talkies” were about to replace silent films. Self-centered Lina is a perfect example of the silent film stars who had no suitable voice for sound. Don’t miss the fun of the vocal coaches played by Lindsay Freireich & Adam Isbell, and Todd Brady as the amusingly desperate director trying to make sense of cinema’s transition to sound. Lina’s persistent whining and poor diction are totally annoying, and all the while she is oblivious to the fact that Don is only her lover on screen and has no interest in her otherwise. Pretty Miss Casey carries off the part with consistently hilarious comic flair, even as vain Lina does some serious soul searching during her deliberately annoying Act II song, “What’s Wrong With me?” The head of Monumental Pictures, R.F. Simpson (Willard Radcliffe) has his hands full trying to deal with his spoiled brat starlet during filming of “The Dueling Cavalier,” and that problem is central to the fun that follows. 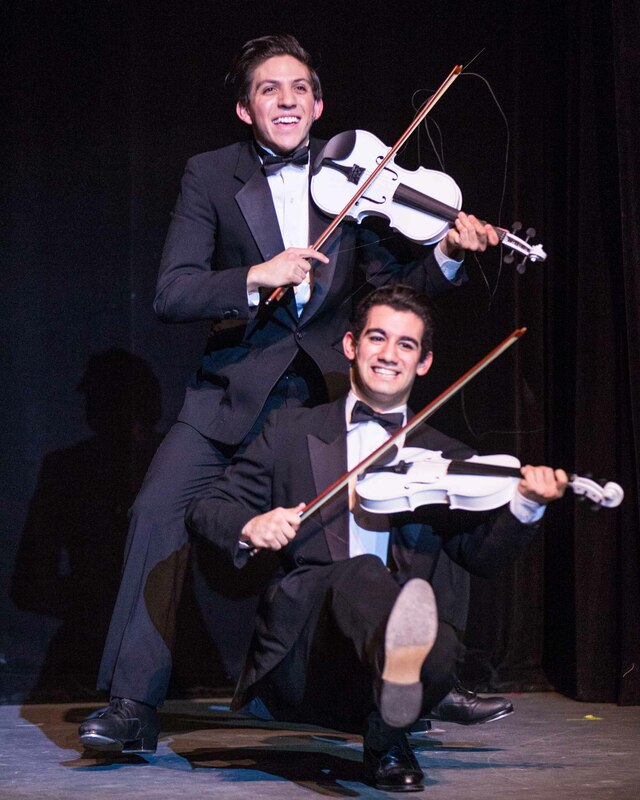 Amazingly, video engineer, Steven Wong, assisted by his son, Michael Wong as fencing choreographer, has created superb silent film segments for “The Dueling Cavalier” that are incorporated into the plot using the actual members of the cast. The professional high definition clarity of the result adds endless fun to the action, and it is worth mentioning that even before the show began, Mr. Wong created an amusing silent comedy take-off of Laurel & Hardy designed to gently remind the audience about cell phone shutdowns. On the other hand, Mrs. Wong, always a comedic winner in Crighton productions, is no less in her deliciously outlandish role of film columnist and radio personality, Dora Bailey, who hosts the red carpet arrivals of the stars for the Hollywood movie premiere that opens Act One. Oh, those glamorous costumes that would lavishly continue to be a feature throughout the show (Designer, Marieda Kilgore). 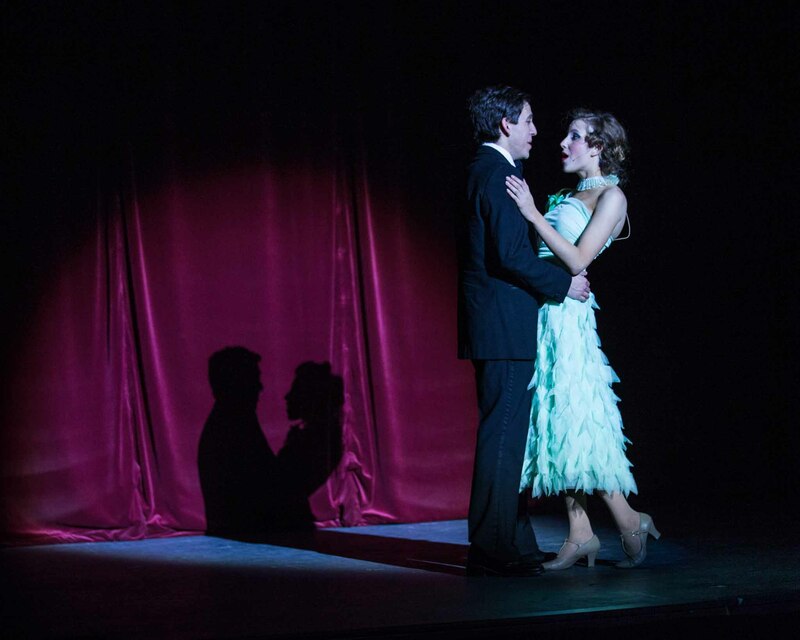 It would also quickly become clear that a central core of this show’s success is the splendid singing of the leads. 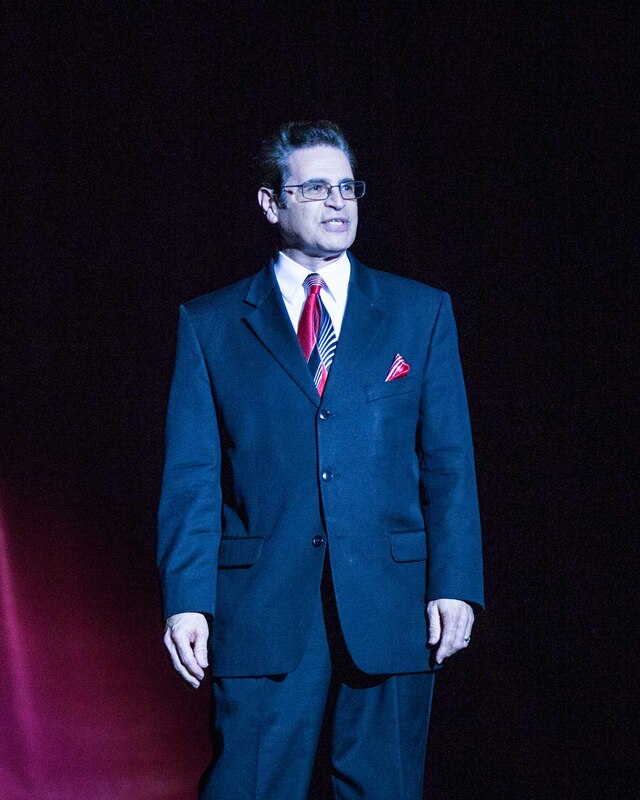 In the song, “Make ‘Em Laugh,” Ryan Rodriquez is terrific capturing the comic deviltry as Don’s pal, Cosmo Brown, the role originally played by Donald O’Connor in the film. Ryan is a perfect pairing with Suarez in the role of Don. The two gents are as handsome as matinee idols with vocal chords to match. Their singing and athletic tap dancing will dazzle you with numbers like “Moses Supposes,” the show-stopping “Broadway Melody,” and the very cute and acrobatic “Fit as a Fiddle.” That latter number is cleverly staged as a memory flashback and might be clarified as such if the surrounding stage lighting briefly dimmed to set the focus on the boys during the song, but the overall lighting designs of Roger Ormiston and Lighting Engineer, Peter Kelly really make this show shine. Another technical triumph came in the area of sound. (Designer, Ms. Wong, and Engineer, Nick Marshall). I point this out because there is always danger when coordinating performances with a recorded musical soundtrack. With one or two minor glitches it is splendidly carried off here. I first realized that when Suarez began singing the lushly romantic, “You Stepped Out of a Dream,” to beautiful Sara Preisler Kent. Kent portrays Don’s love interest, the lovely ingénue and would-be star, Kathy Selden. It’s the role that helped make Debbie Reynolds a Hollywood legend. As Suarez’ velvet smooth voice embraced the audience, I thought at first he must be lip-syncing to some professional voice recorded on the soundtrack. What a pleasure to discover this talented young man’s voice was the real deal. And what a match to have him in duet with the sweetly elegant voice of Miss Kent. Wow! The duo would team beautifully for the songs, “You Are My Lucky Star,” and “Would You,” and the pair would join Rodriquez for the playful delights of “Good Morning.” As for outstanding solo moments, Kent delivers a wonderful “All I Do is Dream of You,” with great back-up from the Chorus Girls. Suarez shines for, “You Were Meant for Me,” and of course for the title tune. 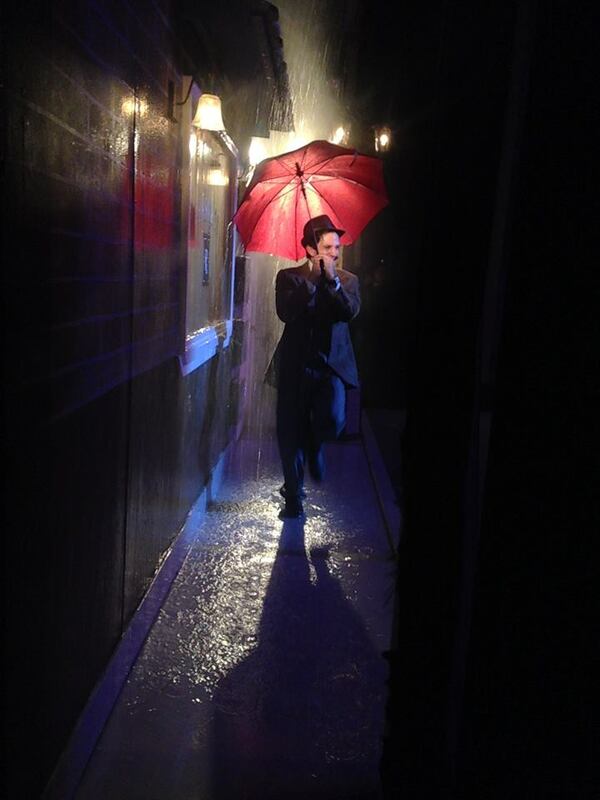 Thanks to the creativity of Master Carpenter, Dennis O’Connor and Scenic Designer, Denise DeBold, “Singin’ in the Rain” was able to actually happen right there in front of our eyes as Mr. Suarez joyfully danced and sang through showers and puddles, umbrella in hand. It was a delight. 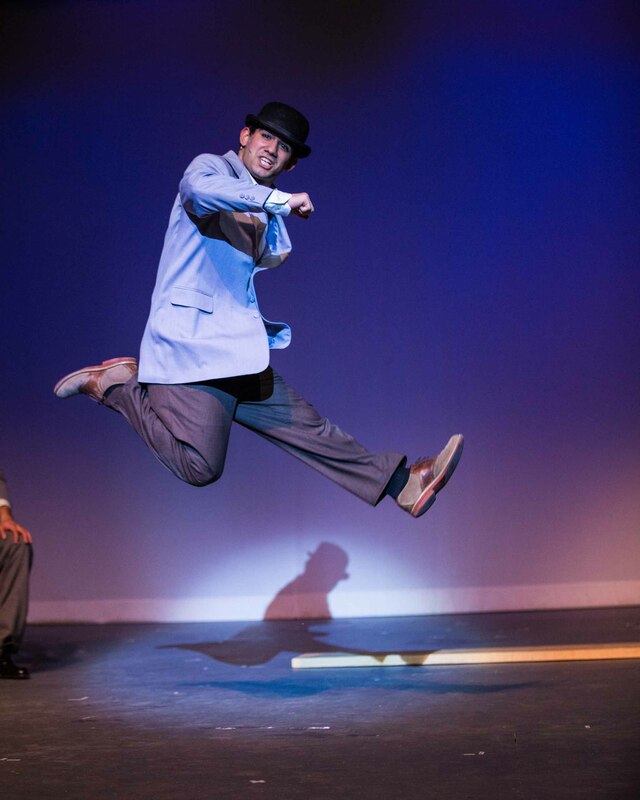 Other sensational production numbers include the classy “Beautiful Girls” led by talented, R. Isaiah Owens, and a jazzy “Broadway Melody” that featured the seductive dance talents of choreographer, Mahlman. Throughout this epic masterpiece of musical theatre, the Dancers and Chorus of the cast really deserve top billing. They are amazing, so readers beware. If you miss this sweetheart of a show you will miss something so special that my eyes were moist with tears of joy at the conclusion. I will never forget Valentine’s Day 2015. 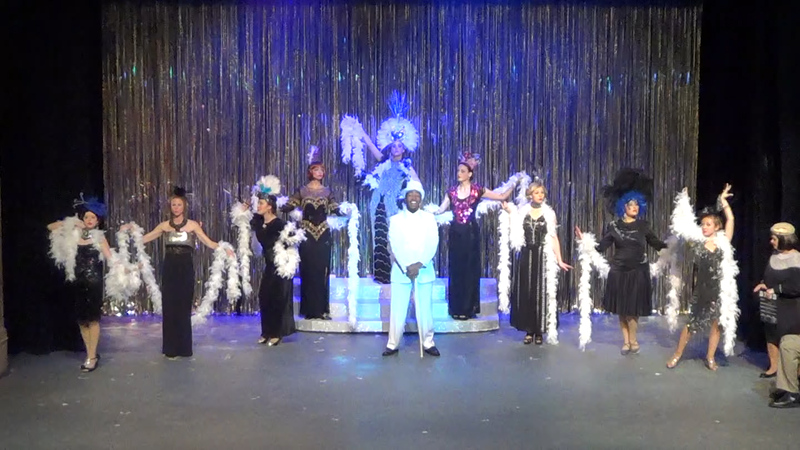 This entry was posted in Broadway, BroadwayStars.com, Conroe Courier, Crighton Theatre, Houston Community Newspapers online, Singin' in the Rain, Stage Right Players, The Courier Columns, The TICKET, ThePeoplesCritic.com, Uncategorized and tagged Conroe, Crighton Theatre, musicals. Bookmark the permalink. Thank you for the eloquent and delightful review. I love being funny and bringing joy to others. I love your writing, and the leads are indeed amazing talent with futures on Broadway! Thank you!